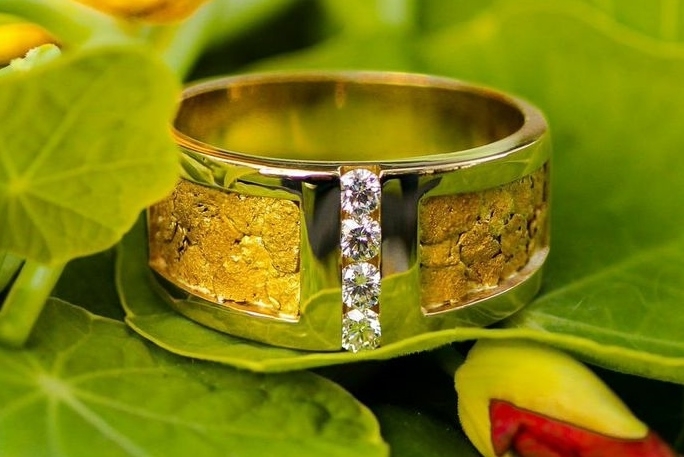 This striking Alaskan Gold Nugget and Diamond Wedding Band features 5 gorgeous Diamonds surrounded with genuine Alaskan Gold Nuggets showcased in 14Kt Yellow Gold. 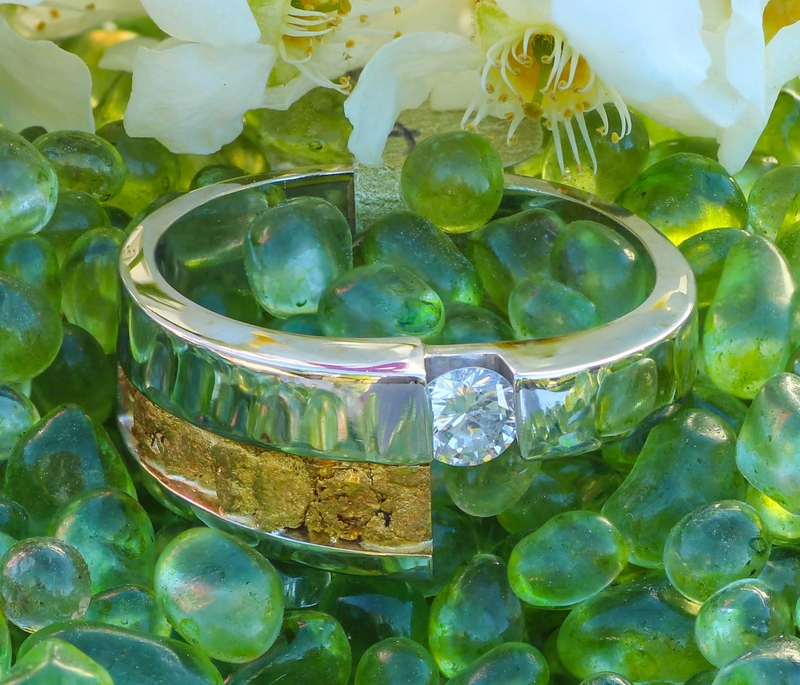 Natural Alaskan Gold Nuggets elegantly displayed in our 14kt White Gold with a center diamond. 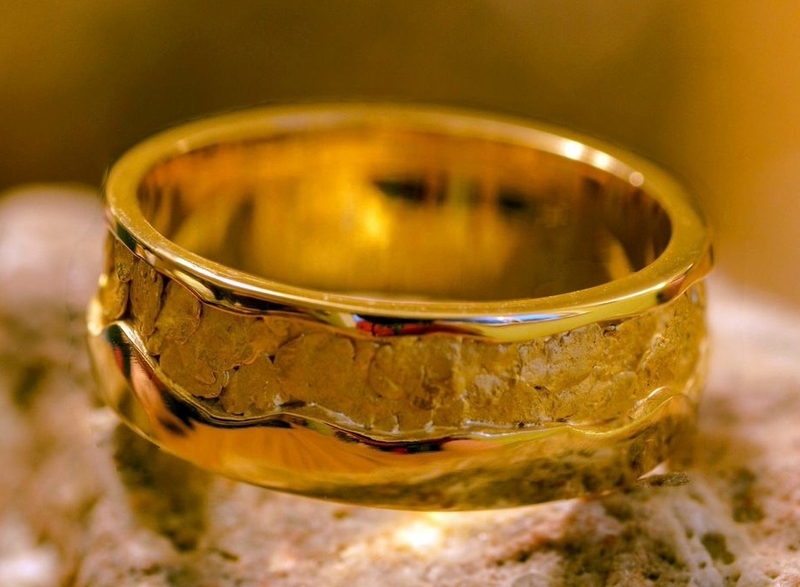 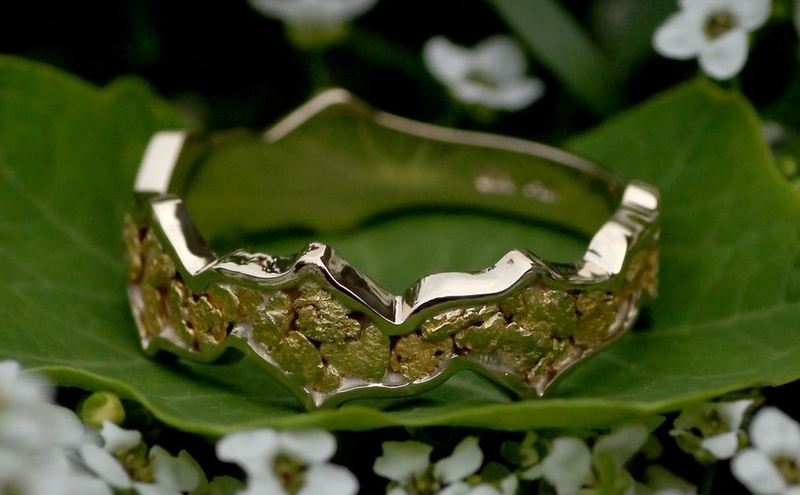 14Kt Yellow Gold with eternally flowing Alaskan Gold Nuggets in this precious wedding band. 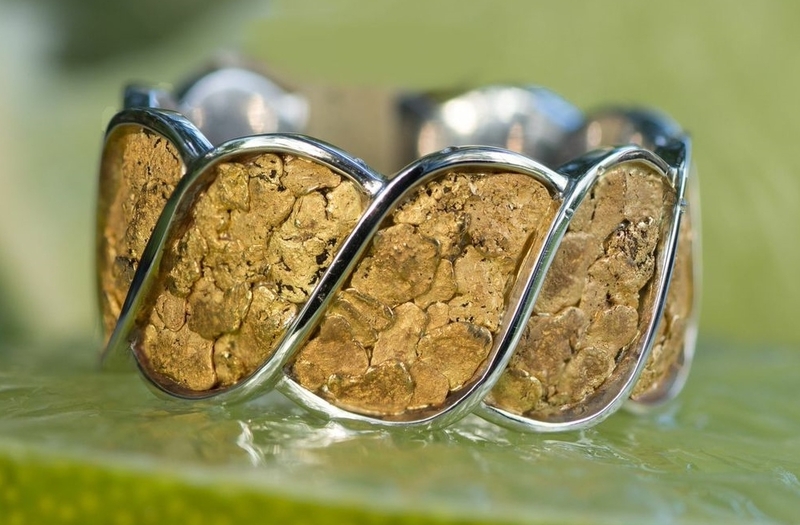 Showy collection of Alaskan Gold Nuggets artistically arranged in a vibrant 14kt White Gold eternity style wedding band. 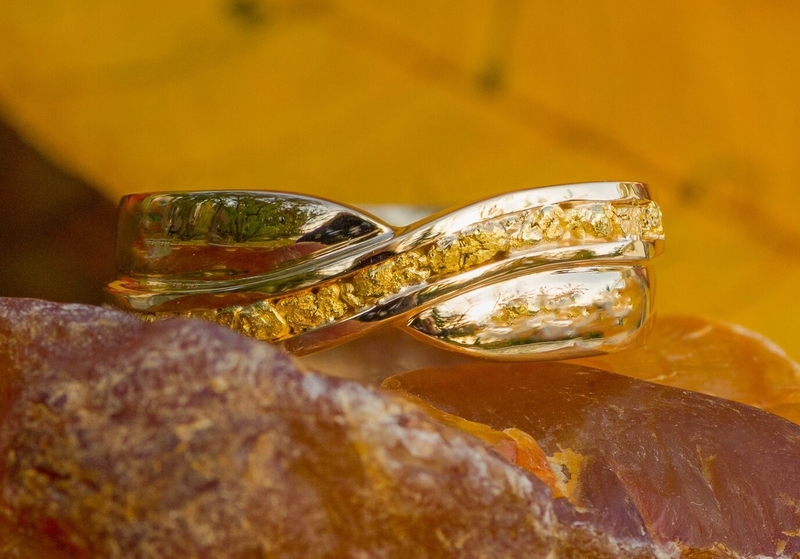 Natural Alaskan Gold Nuggets elegantly displayed in our 14kt Yellow Gold with a center diamond. 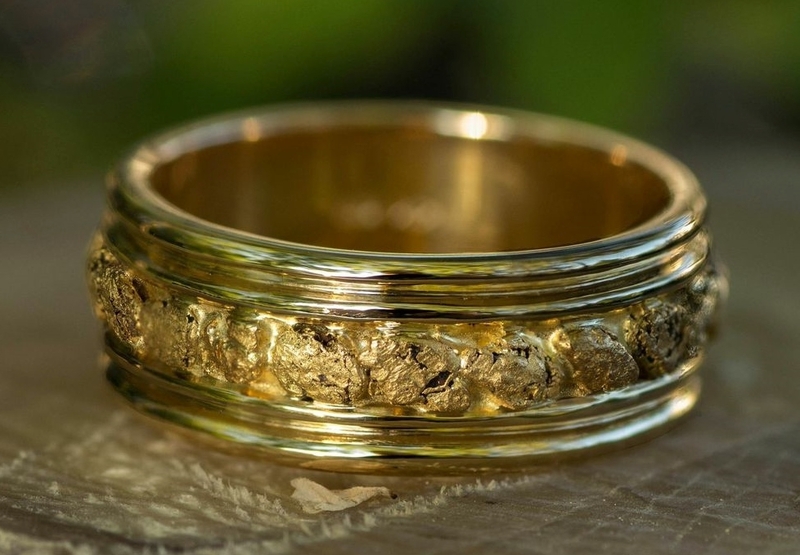 Open style wedding band elegantly features 5 Alaskan Gold Nuggets. 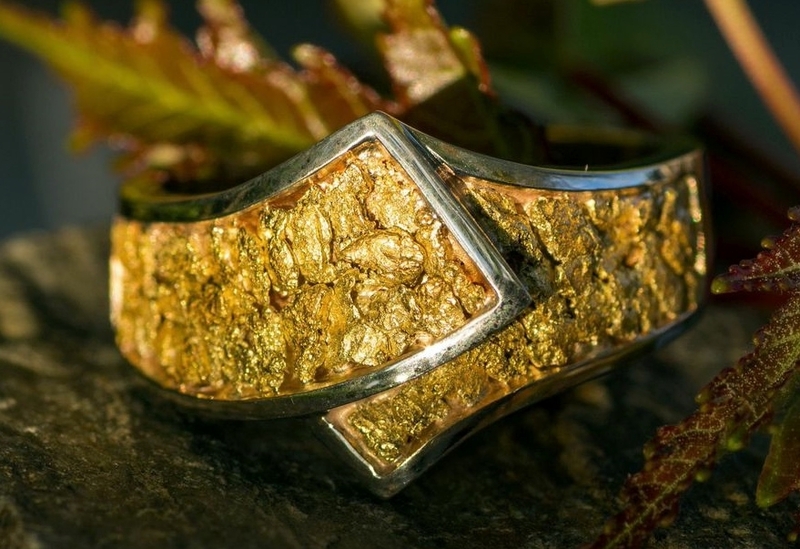 Several one of a kind Alaskan Gold Nuggets embedded in 14kt White Gold. 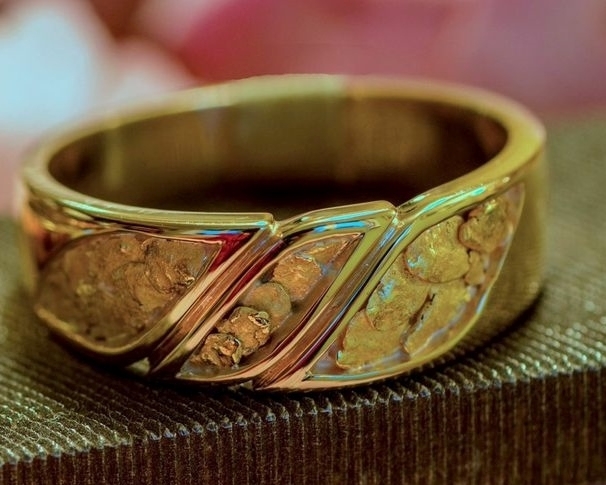 Call for price and availability - 907-456-4991. 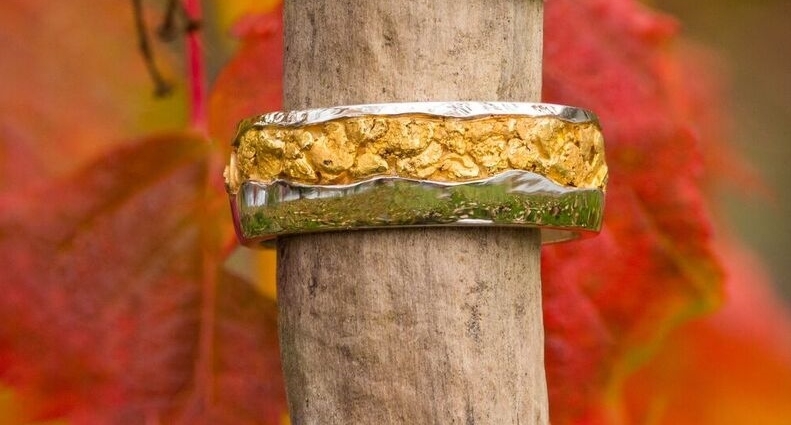 Wedding Band features genuine Alaskan Gold Nuggets uniquely fashioned in 14k Yellow Gold. 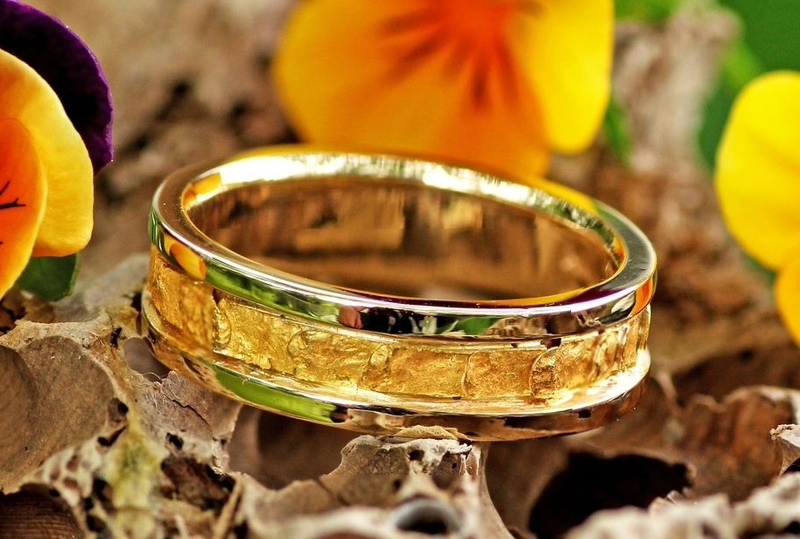 Wedding Band features genuine Alaskan Gold Nuggets uniquely fashioned in 14k Yellow Gold. 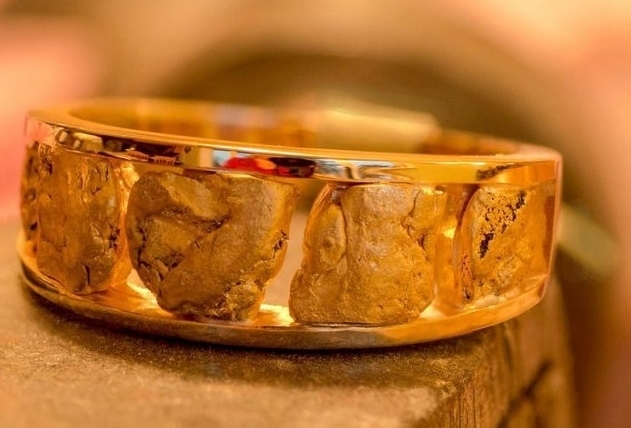 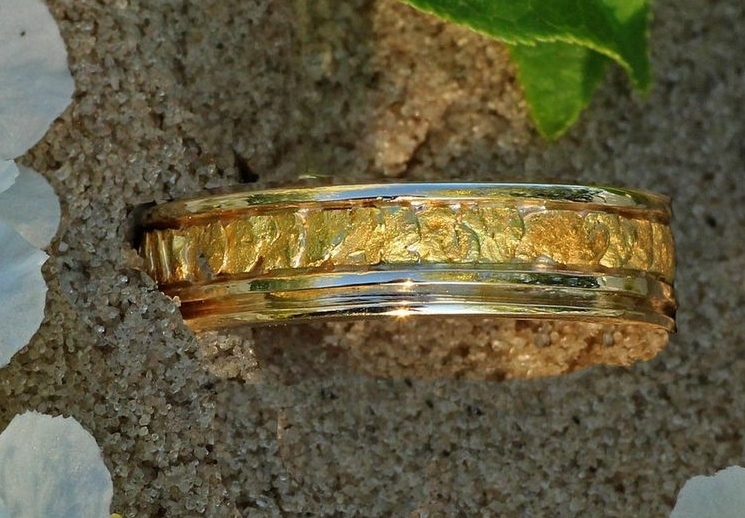 Genuine Alaskan Gold Nuggets poshly arranged in this eternity wedding band. 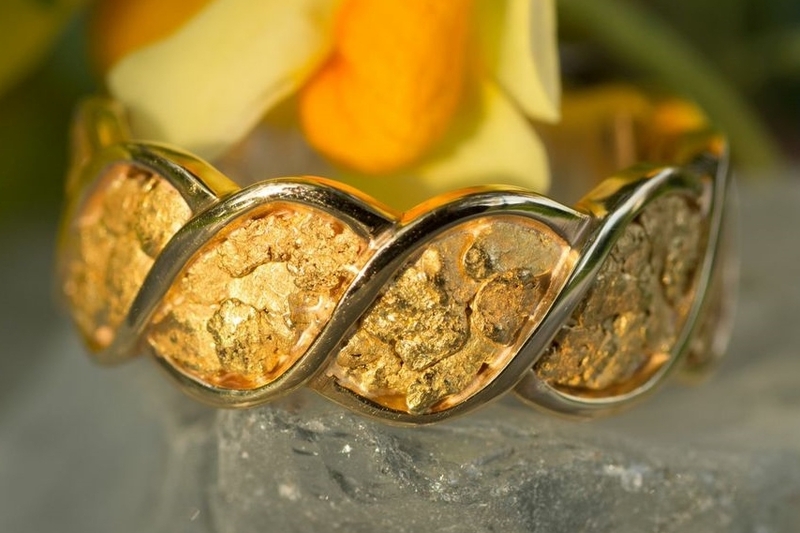 Eternity Wedding Band features beauty all around with genuine Alaskan Gold Nuggets. 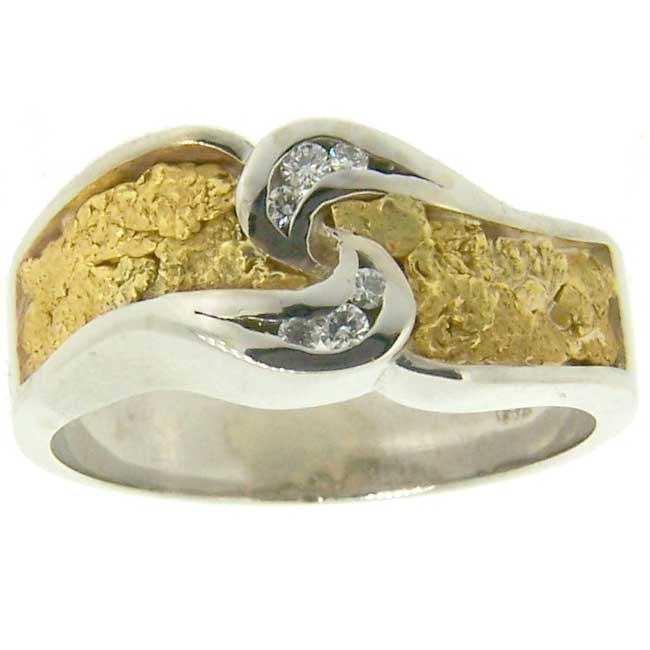 Genuine Alaskan Gold Nuggets creatively set in this 14kt White Gold wedding band. 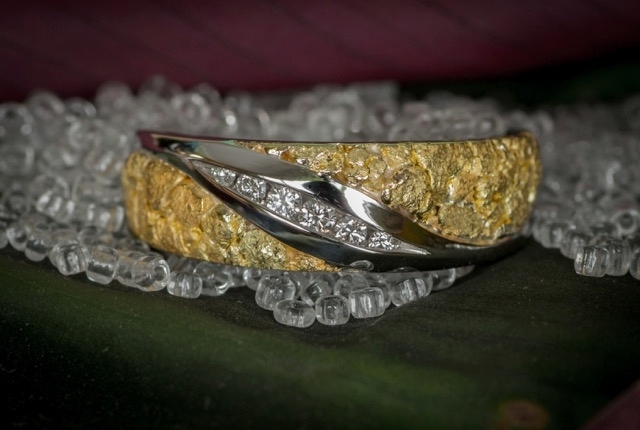 Men's Alaskan Gold Nugget and Diamond Wedding Band in 14k White Gold. 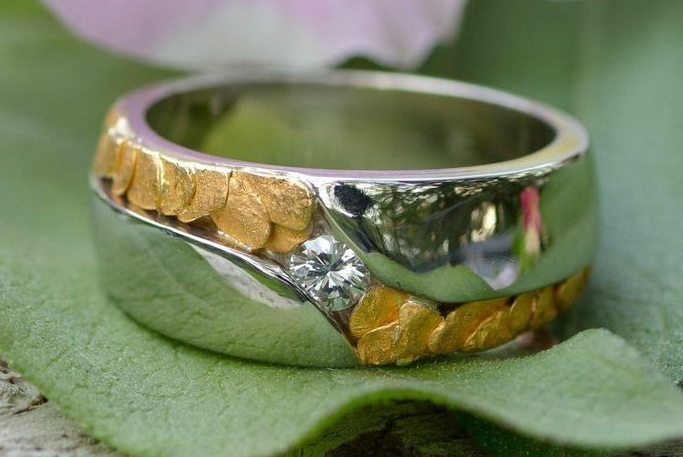 Alaskan Gold Nuggets and brilliant Diamonds set in this stunning 14kt Yellow Gold wedding band. 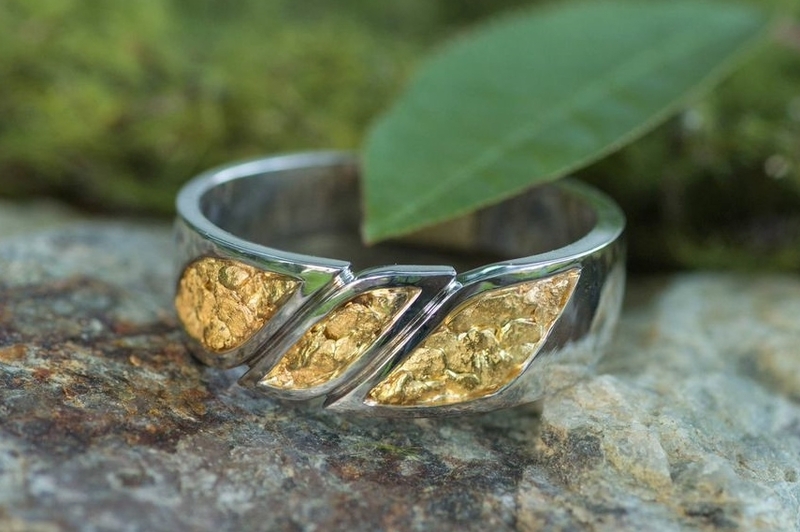 Showy collection of Alaskan Gold Nuggets artistically arranged in a vibrant 14kt White Gold band. 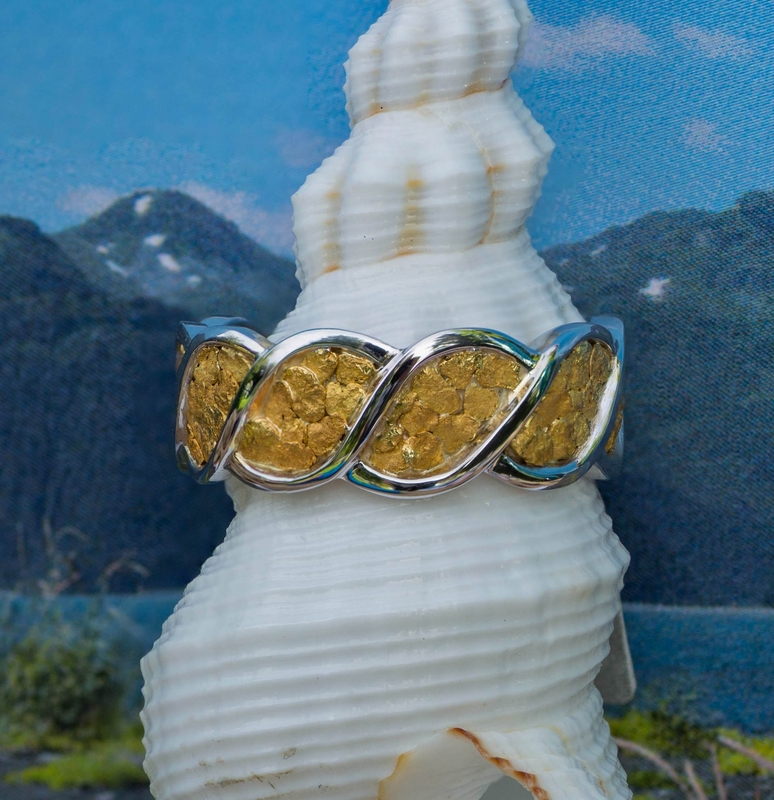 Showy collection of Alaskan Gold Nuggets artistically arranged in a vibrant 14kt White Gold belt style wedding band. 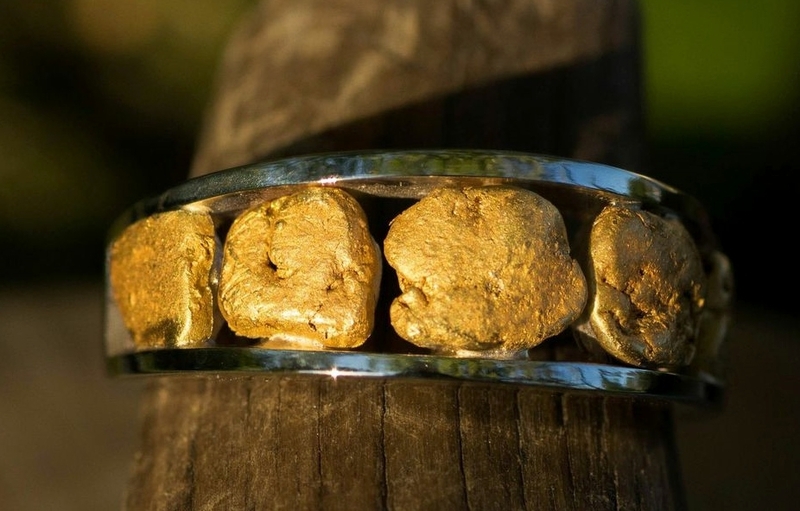 Showy collection of Alaskan Gold Nuggets artistically arranged in a vibrant 14kt Yellow Gold wedding band. 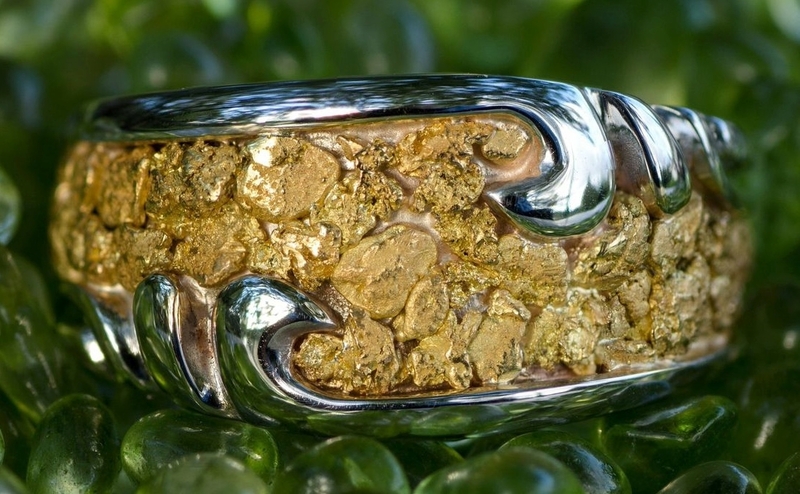 Showy collection of Alaskan Gold Nuggets artistically arranged in a vibrant 14kt White Gold wedding band. 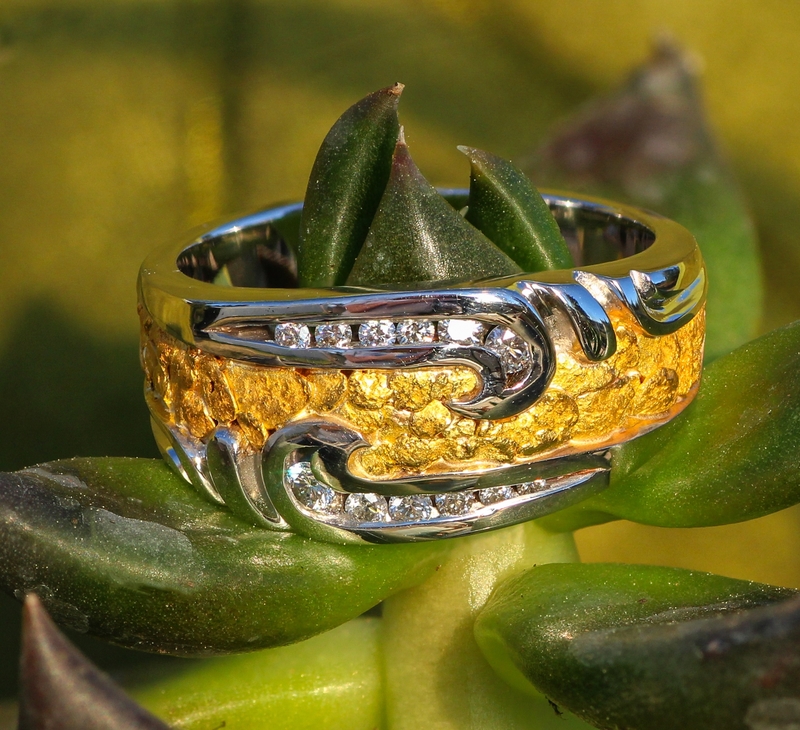 Alaskan Gold Nuggets creatively set in this 14kt White Gold Wedding Band. 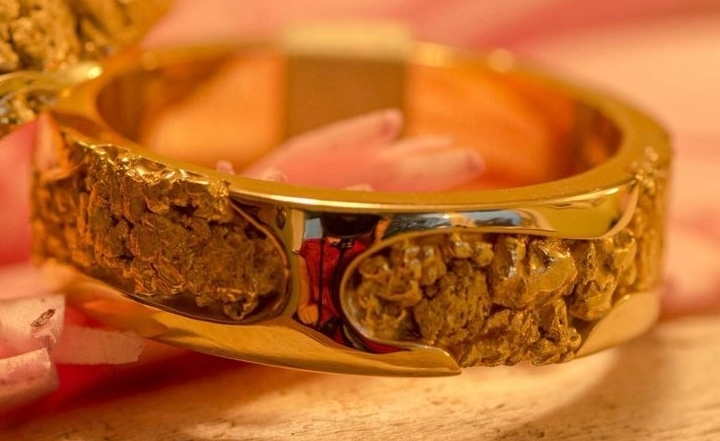 Showy collection of Alaskan Gold Nuggets artistically arranged in a vibrant 14kt Yellow Gold eternity style wedding band. 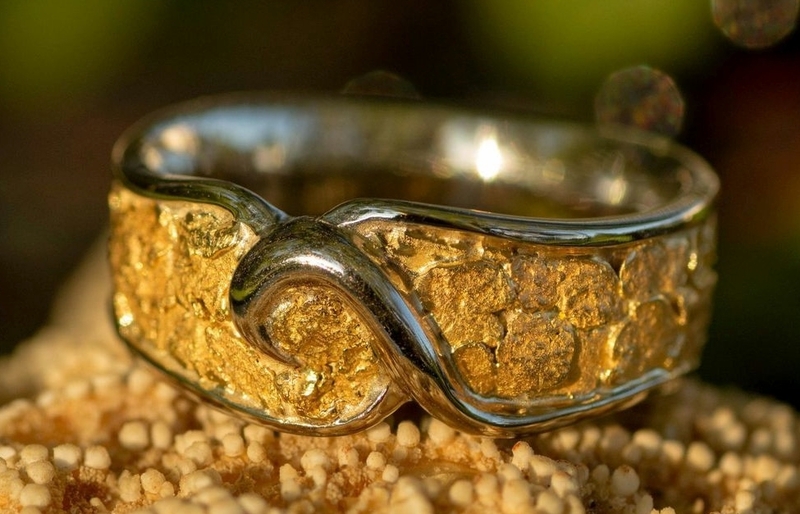 Flashy collection of Alaskan Gold Nuggets artistically arranged in a vibrant 14kt Yellow Gold wedding band. 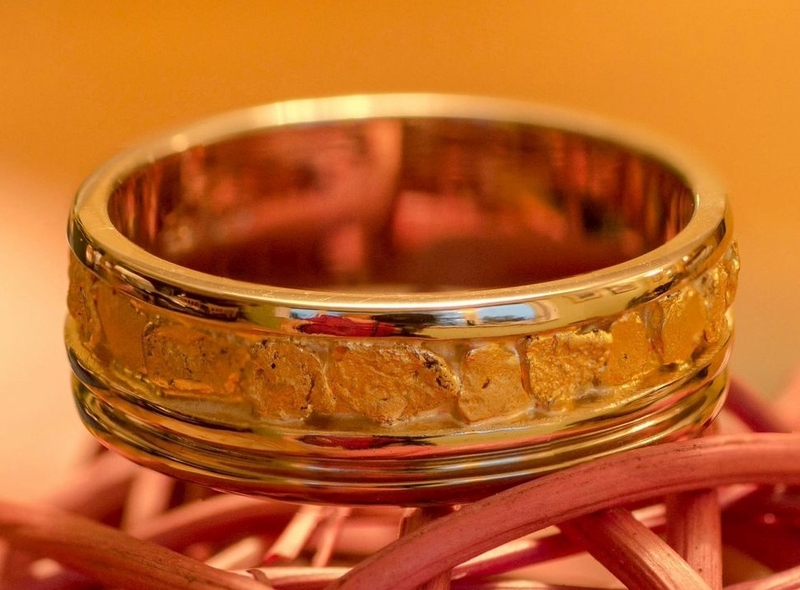 Genuine Alaskan Gold Nuggets creatively set in this 14kt Yellow Gold wedding band. 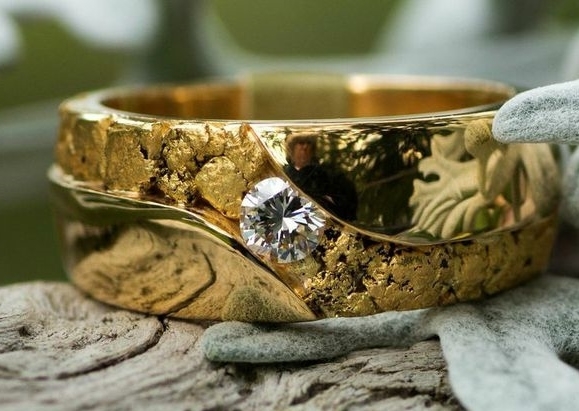 Genuine Alaskan Gold Nuggets are featured in this stunning cross over wedding band. 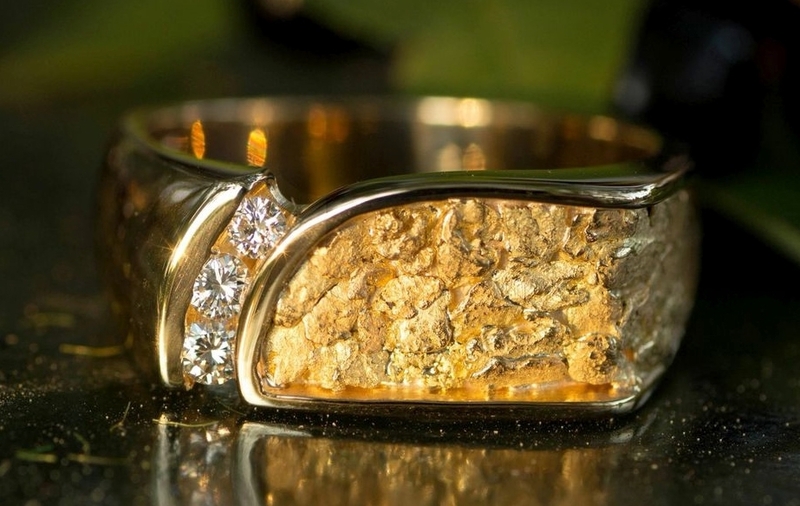 Alaskan Gold Nugget and Diamond Wedding Band in 14k Yellow Gold. 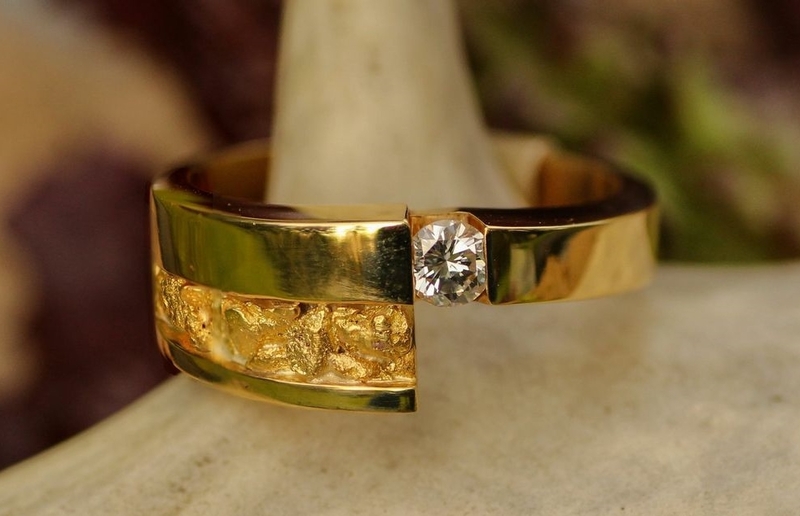 This elegant Wedding Band features genuine Alaskan Gold Nuggets with a single Diamond center stone. 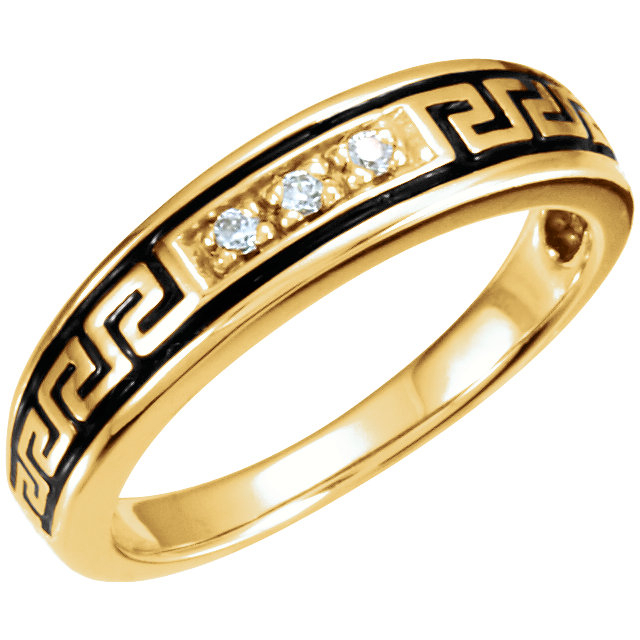 This beautifully intricate wedding band features genuine Alaskan Gold Nuggets with Diamonds. 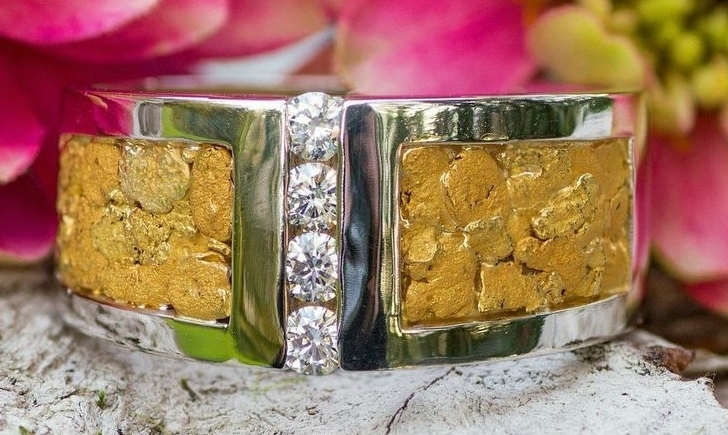 6 brilliant Diamonds channel-set in 14kt White Gold intricately designed in this genuine Alaskan Gold Nugget timeless band. 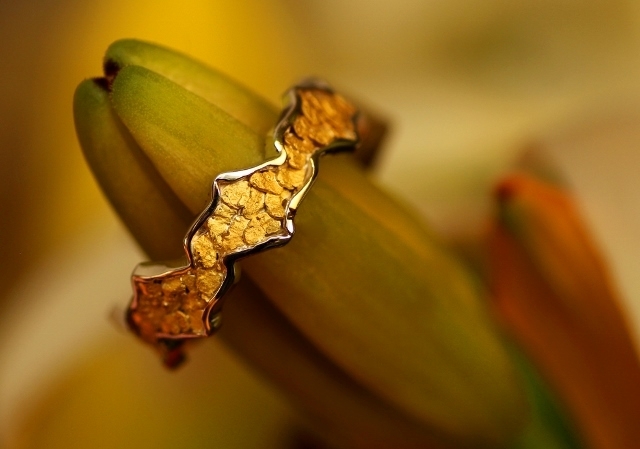 19 brilliant Diamonds and genuine Alaskan Gold Nuggets in this unique stylish ring. 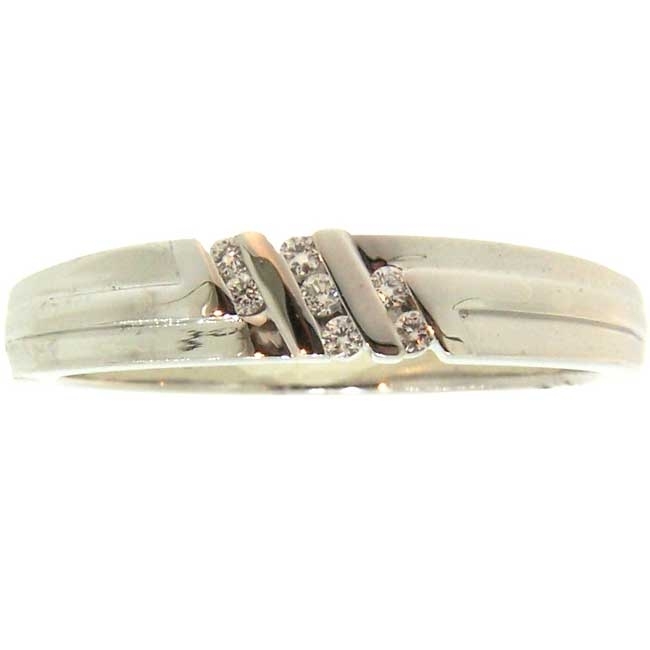 7 Diamonds in this gorgeous White Gold wedding band. 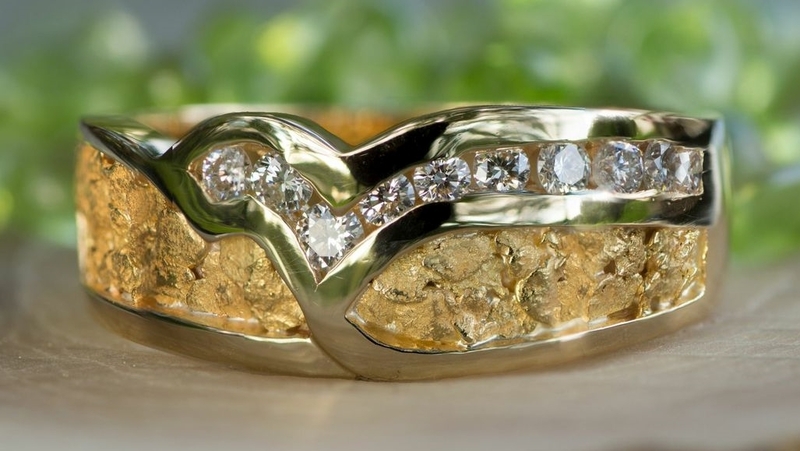 Elegant Wedding Band features genuine Alaskan Gold Nuggets with 4 brilliant channel set Diamonds runnind through the center. 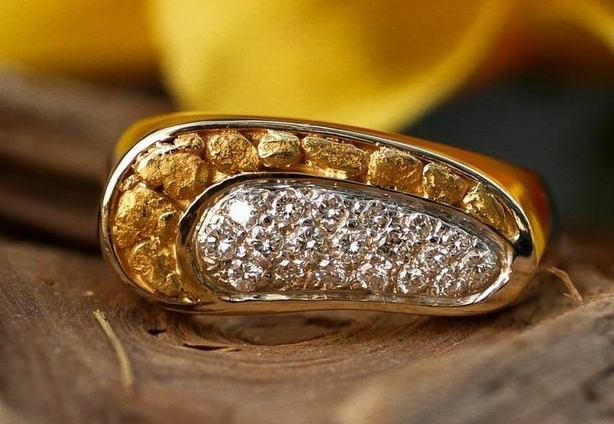 Breathtaking Alaskan Gold Nuggets and 8 round, brilliant Diamonds, channel-set in this stunning 14kt Yellow Gold wedding band. 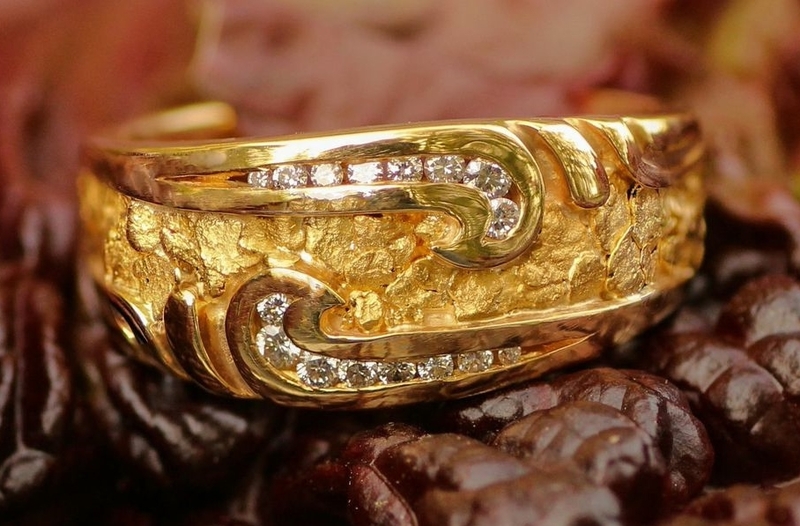 Genuine Alaskan Gold Nuggets with 7 brilliant Diamond center stones in this unique 14kt Yellow Gold wedding band. 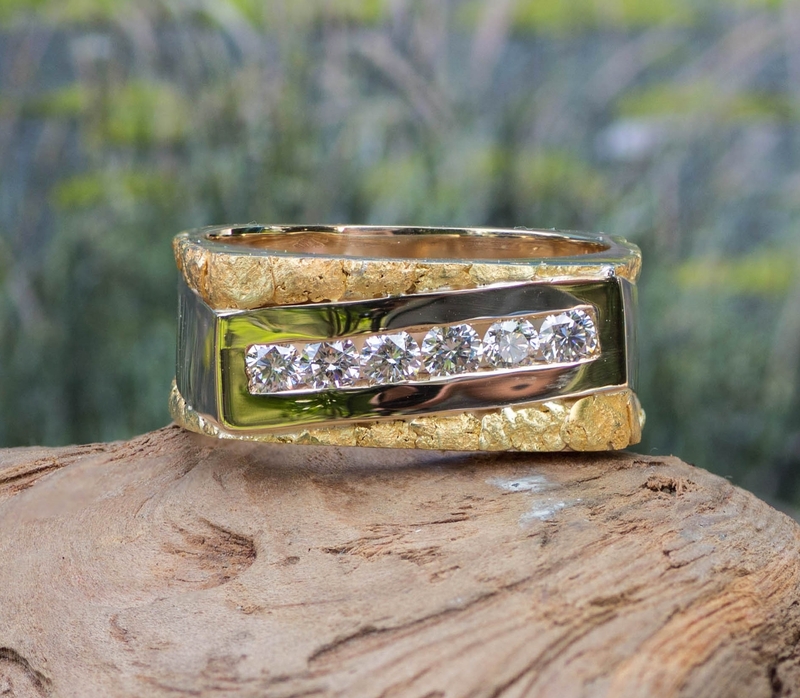 Brilliant Diamonds complemented with genuine Alaskan Gold Nuggets in this lustrous men's wedding band. 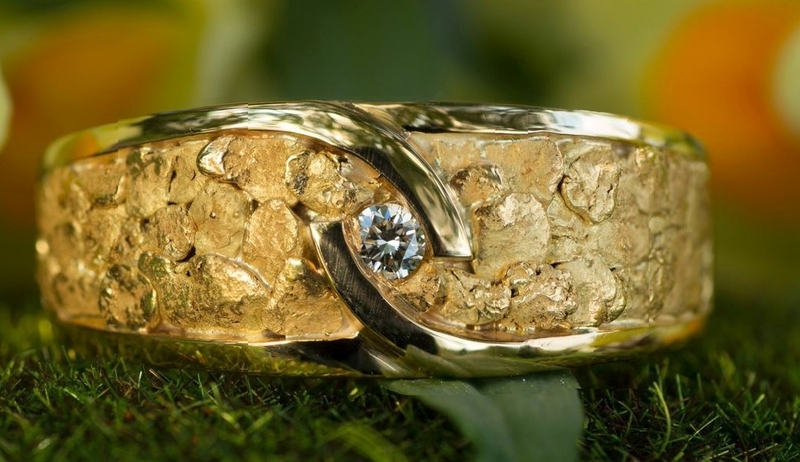 16 brilliant Diamonds creatively swirled into genuine Alaskan Gold Nuggets in this unique wedding band. 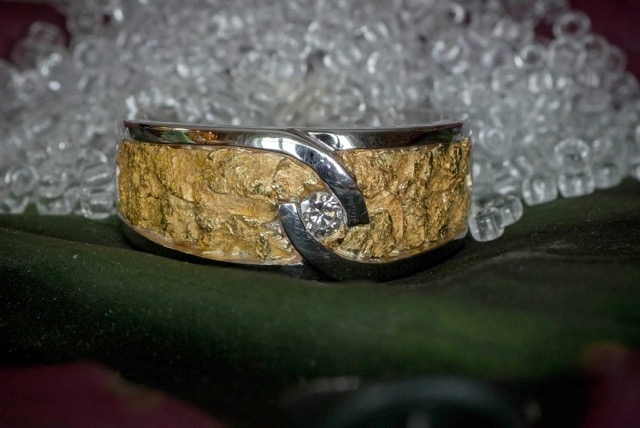 Natural Alaskan Gold Nuggets with 6 Diamond center stones diagonally set in this stunning men's wedding band. 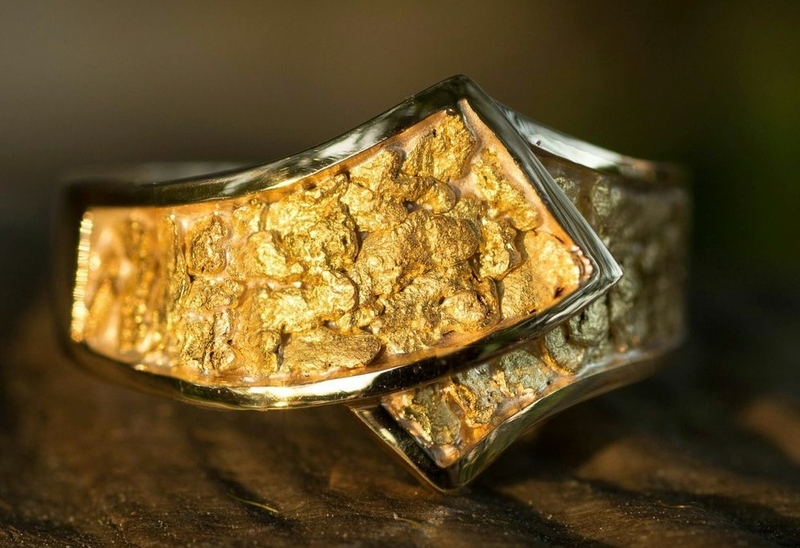 Genuine Alaskan Gold Nuggets with a Diamond center stone in this lustrous men's wedding band. 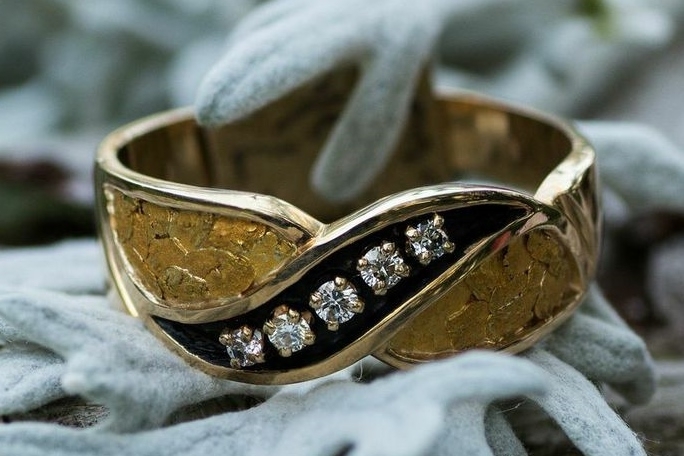 Genuine Alaskan Gold Nuggets complemented with 4 brilliant Diamond center stones in this unique 14kt Yellow Gold wedding band. 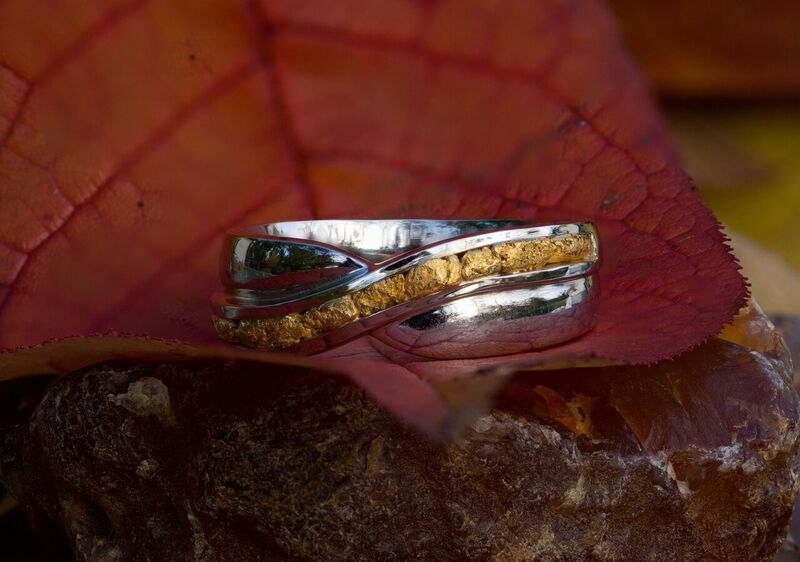 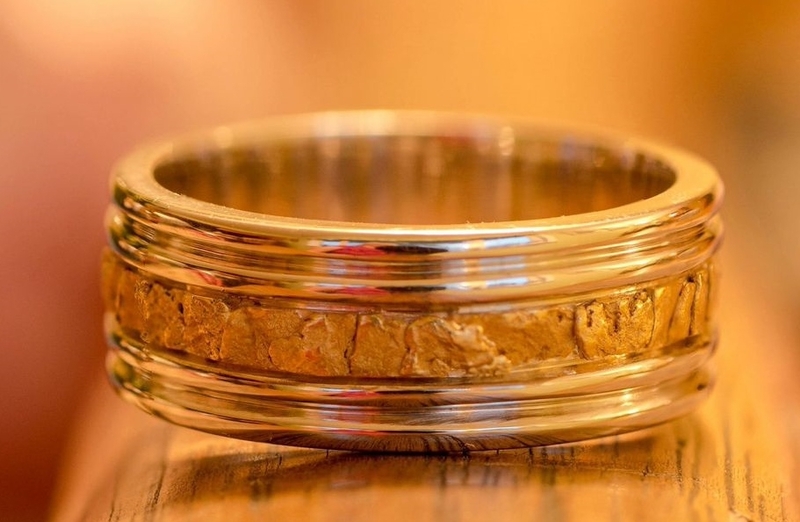 Rustic Alaskan wedding band features genuine natural Alaskan gold nuggets in white gold. 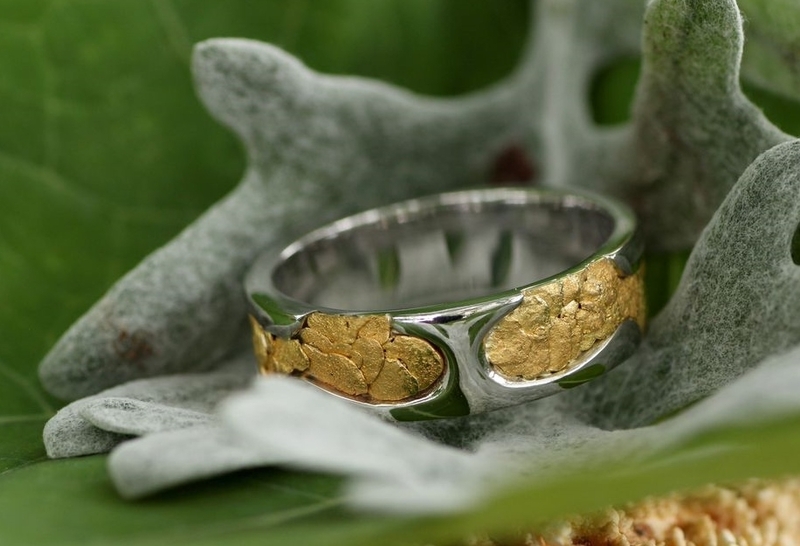 This beautiful wedding band features several Natural Alaskan Gold Nuggets in 14Kt white gold. 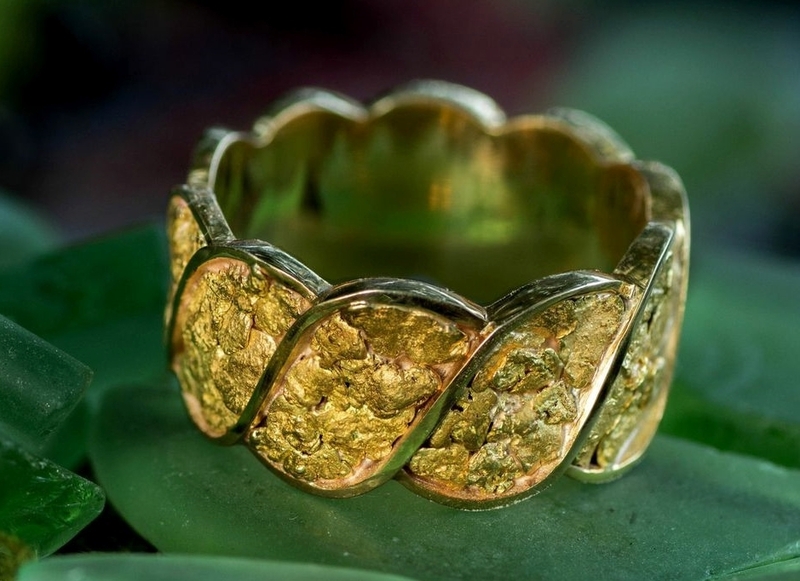 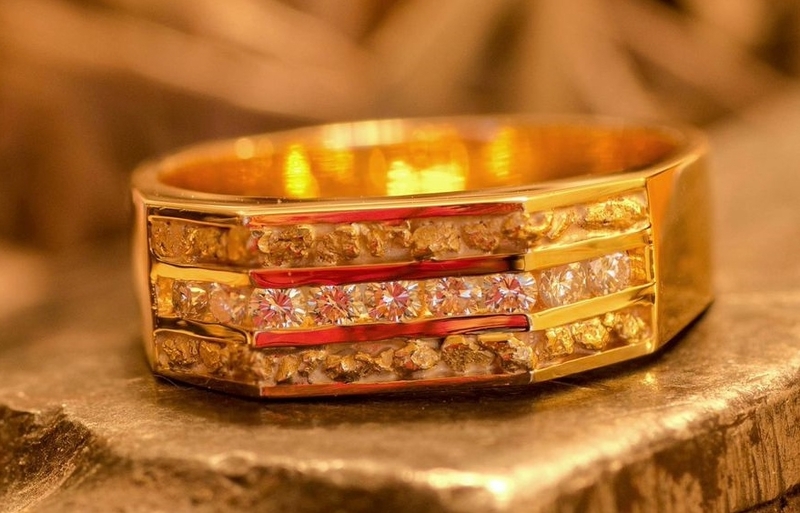 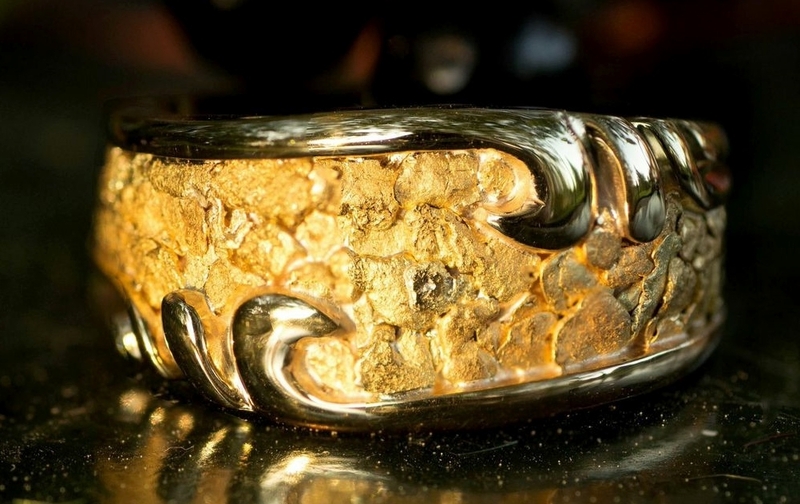 Showy collection of Alaskan Gold Nuggets artistically arranged in a vibrant 14kt Yellow Gold belt style wedding band. 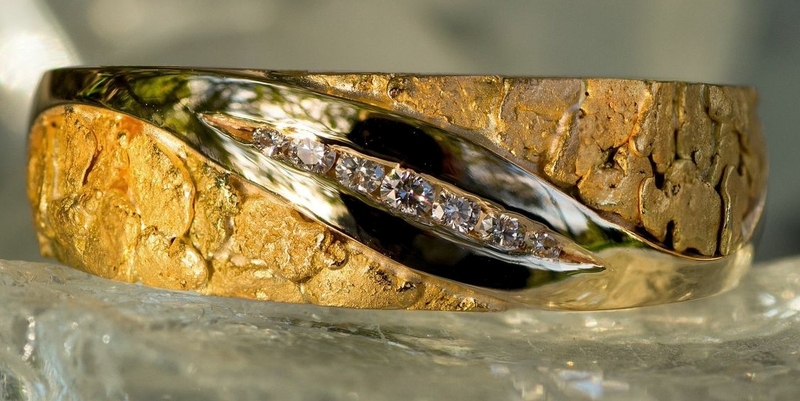 Wedding Band with 7 sparkling Diamonds and several intense Alaskan Gold Nuggets will take their breath away. 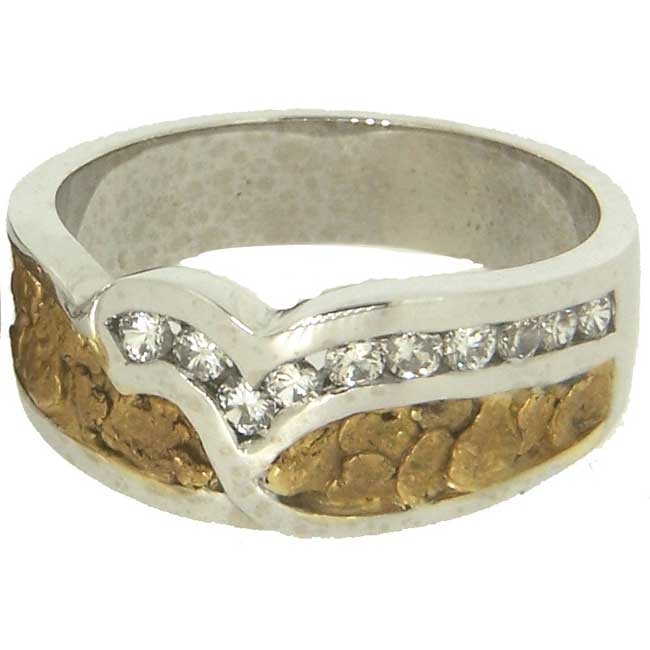 Alaskan Gold Nuggets and 10 brilliant Diamonds channel-set in 14kt White Gold wedding band.